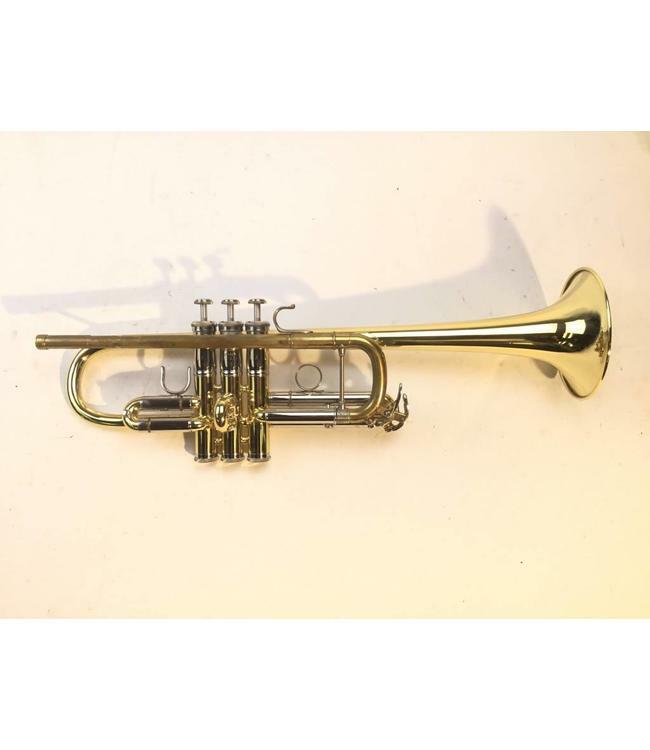 Used Yamaha YTR-6445 C Trumpet in lacquer. Instrument is in good condition with surface scratching and minor bell dings/acid bleed at bell rim. Horn has been cryogenically frozen, Bob Reeves valve alignment, 2nd Gen Chicago leadpipe & tuning slide, and pro-type bell. No case.